Over 35% in contract! Exclusive showings by appointment only. Contact us today. 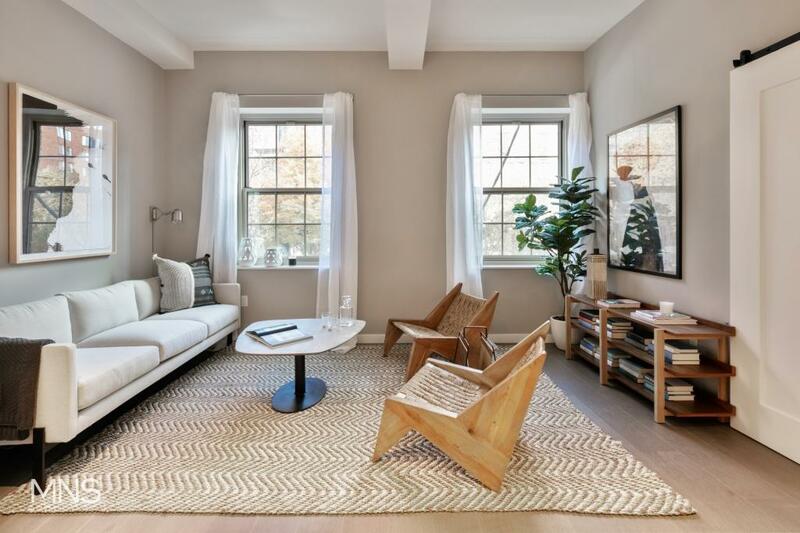 One, two and three bedroom residences in a thoroughly restored Fort Greene landmark. 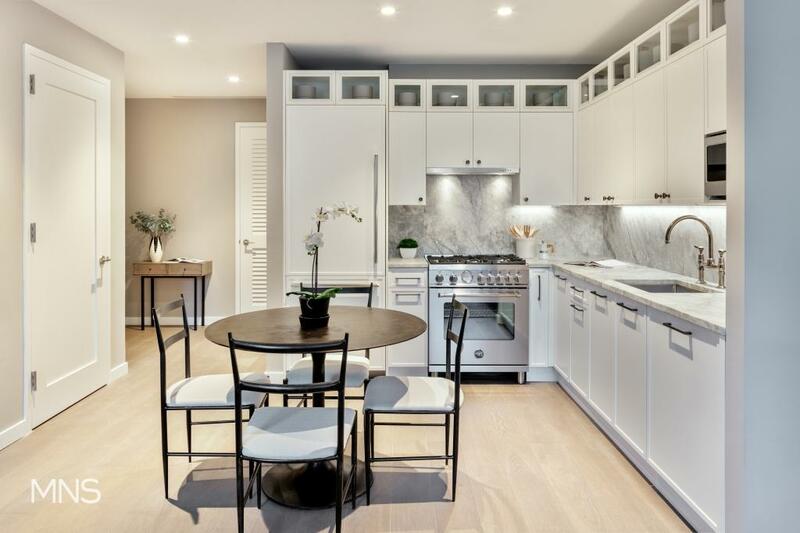 Nestled among pristine brownstones on a tree-lined street, just blocks from Fort Greene Park is 75 Greene Avenue, the landmarked condominium conversion by Douglaston Development. 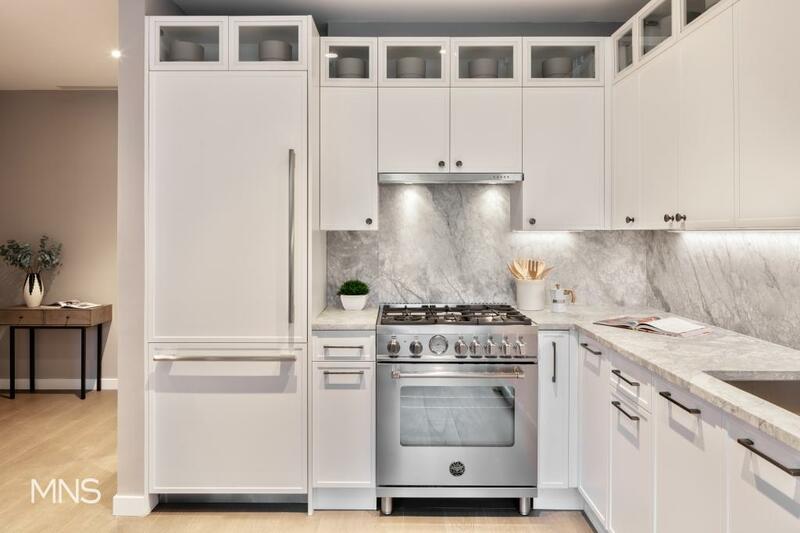 This historic, architecturally significant conversion encompasses the best of traditional Fort Greene living with the conveniences and amenities found in a full-service condominium. With open layouts, modern finishes and chef quality kitchens, the residences have combined the past with the present to offer a unique ownership opportunity in the heart of one of Brooklyn’s most prestigious neighborhoods. Residence 1D is a spacious, one bedroom rare find in prime Ft. Greene. The open plan allows for the perfect arrangement of both the living and dining room. The stunning kitchen is finished with custom cabinetry, Bertazzoni, and Bosch stainless steel appliances and a full slab Dolomite marble countertop. The generous bedroom layout is coupled with ample closet space and oversized windows for an abundance of natural light. A spa-like bathroom with marble walls, Restoration Hardware lighting and a custom vanity complete this perfect home. Other thoughtful and notable features include 7”1/2 wide oak wood floors throughout multi-zone heating and cooling, and a washer and dryer. Bridging together the building’s rich history with a modern appeal has resulted in one-of-a-kind, artfully crafted residences at the center of Ft. Greene – a highly desirable neighborhood where you can take advantage of numerous area amenities which include Whole Foods, Apple Store, Michelin rated restaurants, museums, nightlife and more. As a designated Historic District, Fort Greene is a close-knit and diverse neighborhood with a lovely village appeal and has always been at the forefront of the borough’s culture and creativity. 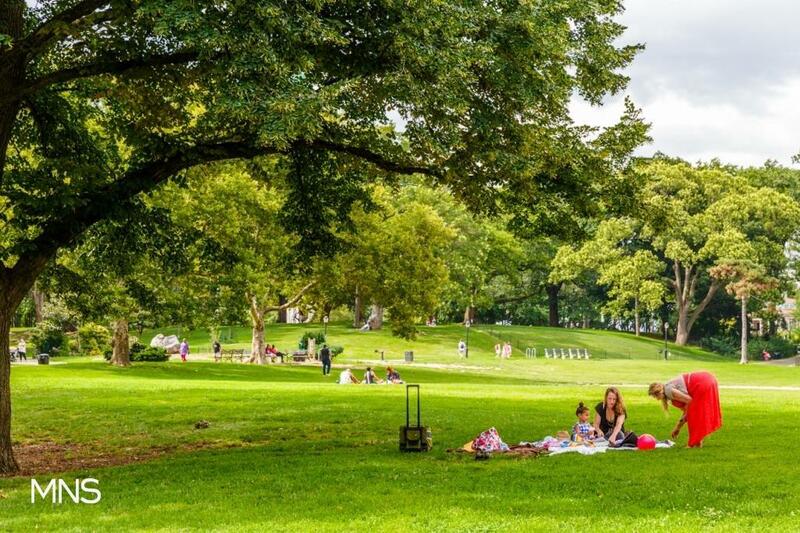 Just blocks away sits Fort Greene Park, with its grassy fields, hilltop views, playgrounds, tennis and basketball courts, and seasonal farmers market - a rare urban oasis. A number of other spectacular offerings await, from Gothic to neo-classical to the lavish Beaux Arts style of the Brooklyn Academy of Music (BAM). Renowned cultural activities in the worlds of music, theatre, dance, and poetry abound from BAM'S always chock-filled calendar to the illuminating exhibitions and lectures at MoCADA. The nearby Pratt Sculpture Garden and the BRIC Arts Media House, with its multi-purpose performance space, have been symbols of Fort Greene's authentic and captivating artistry. From coffee shops, cafes, and food trucks to Michelin-starred restaurants, the choices are authentic and infinite. Equal Housing Opportunity. All dimensions and square footages are approximate and subject to construction variances and may vary from floor to floor. 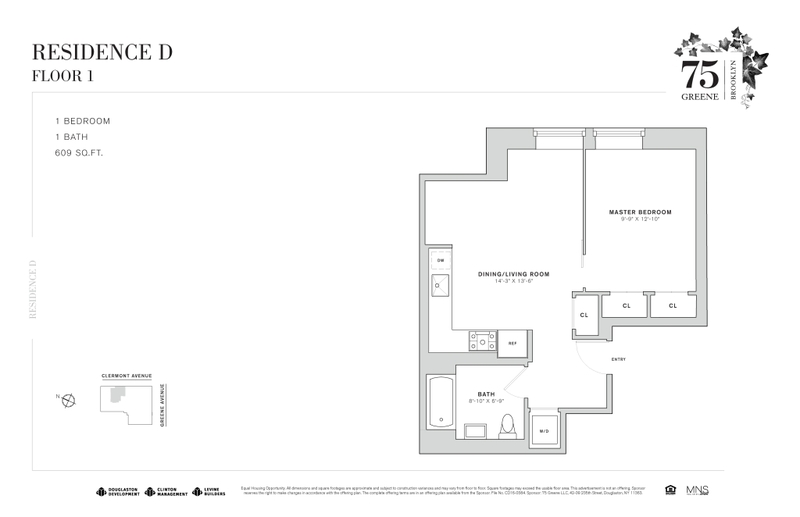 Images represent model residences and may not be reflective of the layout of the subject residence in this advertisement. Sponsor reserves the right to make changes in accordance with the offering plan. The complete offering terms are in an offering plan available from the sponsor. File no. CD16-0384. Sponsor: 75 Greene LLC, 42-09 235th Street, Douglaston, NY 11363.